If you’re thinking of pursuing a career in real estate, you’ll need to take numerous hours of real estate education from an accredited real estate school and pass a state licensing exam before you can start selling homes. The required number of hours and the course content may differ by state, but these qualifying education courses are necessary and important for your start in real estate. The courses will be an investment of time and money, and the knowledge you gain will be the foundation for your career in real estate. Because it’s so important, your education should meet your personal needs and lifestyle. The two most popular ways to complete the required courses are (1) online real estate classes and (2) in-classroom, in-person real estate classes. To help you decide which option is best for you, we’ll walk you through the general pros and cons of online vs. in-classroom options. Why do students love online real estate courses? Flexibility. People like online real estate courses for the same reason that they want to pursue a career in real estate: the flexible, self-made schedule. Most online courses are designed so that you can go through course material whenever you find some spare time, wherever you are—at home, at the office, waiting for your kid to get out of soccer practice, etc. Online education allows you to break the material up into smaller sections and spread it out over time instead of sitting in a classroom for 4+ hours at a time. Save money and time. Online real estate courses tend to be much less expensive than in-classroom courses. On top of that, taking your courses online saves you the cost of traveling to the nearest classroom location, the time you’d have to take off work, and the cost of whatever else you might need to take courses in-person (snacks, a babysitter, coffee, and so forth). Self-discipline. The greatest benefit of taking online courses—the ability to choose when and where you study—can also be the biggest obstacle. When you don’t have a set time to show up to the class session, it can be difficult to motivate yourself to go through the course material. Lack of interaction. When compared to classes taken in-person, online courses can lack opportunities for students to network with their peers or ask professors in-depth questions about the course material. Are instructors available to answer questions while you read course material online? Are they only available by e-mail? Are they nowhere to be found? Does the online course have end-of-chapter quizzes or reviews to help improve retention (and make the final exam that much easier)? Is the online course flexible so that you can complete it any time and at your own pace? Are course materials available in multiple formats (digital, print)? Is the course compatible with the operating system on your computer? Is it tablet or iPad friendly? Is the course interface user-friendly and easy to navigate? How long do you have to complete the online course? Not convinced? Maybe taking courses in a classroom, in-person is for you. Social interaction. Attending real estate courses in a classroom gives you the ability to meet your professor, ask him/her questions, and take part in class discussions, which often go beyond the material in the course. You can ask an educated professional about his/her experiences, opinions, tricks, tips, horror stories, and big wins. The classroom is also a great place to network with peers in your chosen profession. Face-to-face learning. Reading the computer screen isn’t for everyone, and in-person, on-site classes may better suit your learning style. Scheduled meeting time. If the unstructured nature of online courses isn’t your thing, then having a set place and time to attend class might make it easier for you to complete your coursework and get that certification. Classes are usually offered in the day or evening and run between 4 to 8 hours per session. Lack of flexibility. 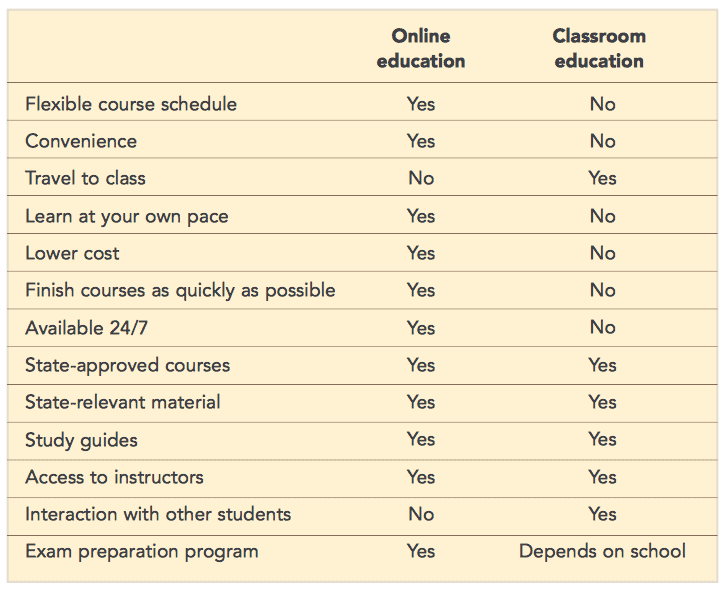 Courses taken in the classroom don’t have the same anytime/anywhere freedom as online courses. You can’t complete coursework on your own time or on your comfy couch. And, rather than jumping online and getting started, you have to wait for your next scheduled classroom session. Potential cost of travel and time. Depending on your location and your chosen real estate school’s offerings, you may have to make a lengthy commute to attend class. This will eat into your wallet and the time that you might otherwise spend working and turn a profit. Okay. We’ve broken down the basic real estate course-delivery options for you: online and classroom. But you can’t enroll in a course with just any education provider because all schools and courses are not created equal. The quality of course material, availability of customer service, and general fun-factor varies greatly across education providers. Does the real estate school have a good BBB rating? Do they have great recommendations and reviews online and from your peers? Does the school have high exam pass rates in your state? Does the school offer real estate exam preparation? What is the total cost? Note that the cost of your education may include tuition, exam preparation, course materials, travel expenses (for in-person courses), and a passing guarantee (if allowed in your state). Does the real estate school offer payment plans? Does the school offer additional career insights, coaching and education opportunities to get your career off to a strong start? If you take the time to choose the right real estate school and course format for you, then you should come away more informed, more prepared for a successful career, and ready to pass the state exam. Ready to get started in your real estate career? 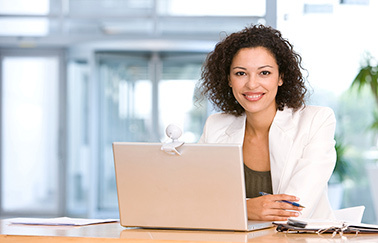 Real Estate Express online school offers all of the conveniences of online courses as well as highly-rated, state-approved courses and pre-licensing exams. You can even get started today.